Spelman College is undoubtedly one of the finest HBCUs—because of academics, yes, but also because it remains ahead of the curve in eschewing the conservative dictates that plague many black institutions of higher learning. Last fall, the private liberal arts college for women announced that it would admit transgender women as students starting in the 2018-2019 school year. In a letter announcing the move, the school noted that though it would not accept trans men “who self-identify and live consistently as men, regardless of gender assignment at birth,” they would allow women who transition to male while at Spelman continue to matriculate at and graduate from the college. And so Keo Chaad O’Neal recently became the first openly trans man to graduate from the esteemed private liberal arts college, based in Atlanta. On Sunday, the 21-year-old New Jersey native shared two beaming photos of himself in his graduation gear, prompting mostly applause for the boundary-breaking event that it was. HuffPost Black Voices reports that O’Neal’s sojourn at Spelman was a winding one and that he left Spelman for a predominantly white institution after his freshman year. 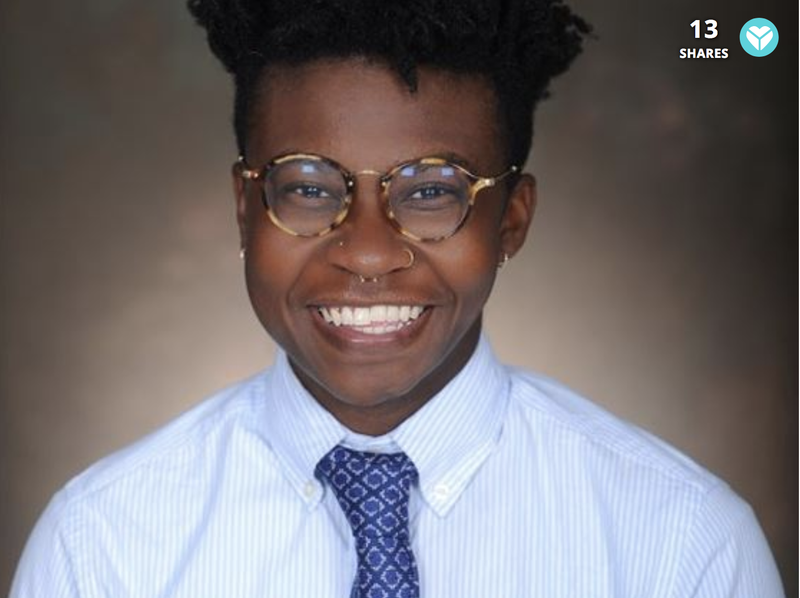 However, after taking a year to grow and develop as a nonbinary person at the other school, O’Neal came back to Spelman his junior year, “because although I could flourish in my queerness, I felt like I was denying my blackness and I was nothing more than a body to those folks,” O’Neal said to the outlet. And although O’Neal knew he wanted to be at Spelman, there were some rough times, especially after he came during convocation with Spelman alumna and queer writer Alice Walker. O’Neal has been accepted into a Ph.D. program in history this fall, but he says on his Twitter account that he wants to take a year off and work with an LGBT organization. He also had some words for those who may be battling their own issues around gender identity and acceptance, essentially telling them to be brave.